Minnesota Timberwolves coach Flip Saunders dies of cancer at 60. 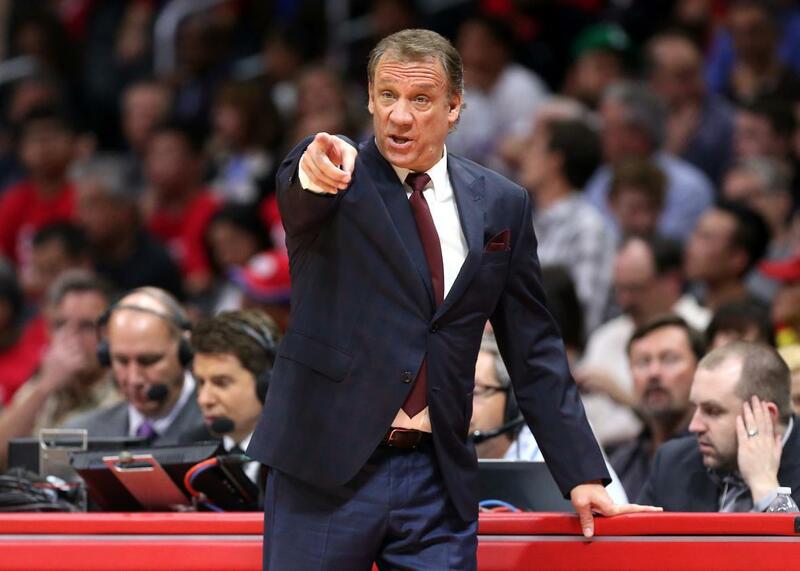 Flip Saunders of the Minnesota Timberwolves gestures during a game with the Los Angeles Clippers at Staples Center on March 9, 2015 in Los Angeles, California. Flip Saunders, whose career as NBA head coach spanned almost two decades with the Minnesota Timberwolves, Detroit Pistons, and Washington Wizards, died Sunday at 60. His record as an NBA head coach across 17 seasons stood at 654-592, according to the Minneapolis Star Tribune. Saunders, the Timberwolves’ president of basketball operations, had recently given up his position as the team’s head coach for health reasons. There’s no question things have changed dramatically since the team announced his diagnosis in August, back when it quoted his doctors saying the cancer was very treatable and curable. Since then there have been changes to the way his body handled the chemotherapy (and maybe how much cancer they’ve found) that have made it life threatening. Everyone involved has gone radio silent because of the family’s request for privacy and federal patient-privacy laws, etc., but between the complete silence, the lack of people visiting as far as I can tell apart from his immediate family and very inner circle while he remains hospitalized here in Minneapolis and the things I’m hearing second-hand, well, none of it is good. Saunders started out as coach of Golden Valley Lutheran College’s basketball team in 1977 and didn’t join the NBA until almost two decades later. In 1996, he became coach of the Timberwolves, which he led to eight straight playoff appearances. When he was fired in 2005, he joined the Pistons and took the team to the conference finals three times, and then joined the Wizards for another three years before returning to Minnesota in 2013. Today's practice has been cancelled & there will be no media availability. We will follow up with more information as it becomes available.